The government of Afghanistan formally confirmed the death of Taliban supreme leader Mullah Mohammad Omar. No sooner had the Taliban selected a new chief to replace Mullah Omar than deep fractures emerged on Friday, as the former leader's son said he rejected the choice of successor. Mullah Yacoob, Mullah Omar's oldest son, said he and three other senior leaders walked out of a meeting called to elect a leader, and were demanding a wider vote. 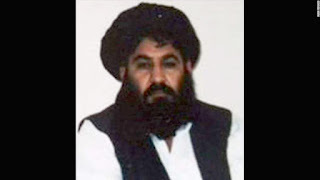 “I am against the decision to select Mullah Akhtar Mansoor as leader,” he told The Associated Press. Only days after the death of Taliban leader Mullah Omar was announced, the Islamic Movement of Uzbekistan terrorist group has reportedly sworn allegiance to the Islamic State. In a video posted by the IMU-controlled Furqon TV on July 31, a figure identified as the group’s spiritual leader, Sheikh Muhammad Ali, stands in front of the black flag of IS and pledges loyalty to the organization. The rest of the 16-minute video shows IMU militants carrying out attacks on Afghan army posts in Zabul province, which borders Pakistan. 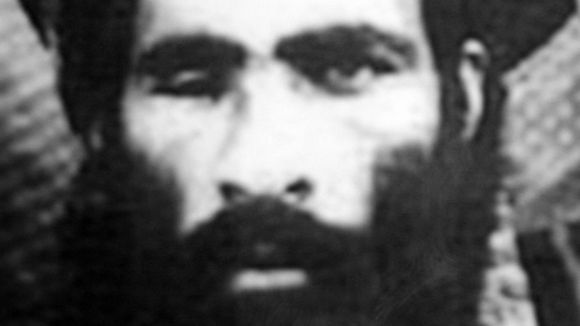 Usman Ghazi, the IMU’s leader since 2012, features in the clip. This is the first time the IMU’s central leadership has formally sworn allegiance to ISIS. But it is not the first report of IMU-linked militants allying themselves with ISIS. The army chief on Friday reiterated that any attempt to obstruct or impede the China-Pakistan Economic Corridor (CPEC) will be thwarted. According to a statement issued by the Inter Services Public Relations (ISPR) on Friday evening,, Army Chief General Raheel Sharif congratulated the Chinese Peoples Liberation Army (CPLA) on its 88th anniversary. He also commended the deep ties between Pakistan and China. Gen Raheel also fired broadsides at state and non-state actors trying to destabilise Afghanistan. “Our cooperation for regional stability will squeeze space for state and non-state actors for a stable Afghanistan,” the statement added. Turkish President Recep Tayyip Erdogan on Wednesday vowed to cooperate with China to fight against the East Turkestan Islamic Movement (ETIM) during his visit to Beijing, a clear signal that observers say indicates Turkey is ready to remove obstacles in Sino-Turkish ties and seek closer economic cooperation. 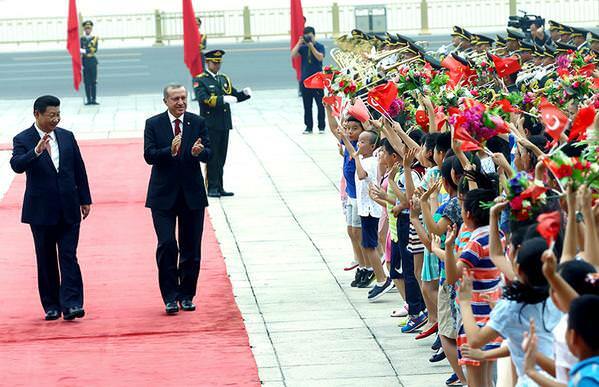 During his meeting with Chinese President Xi Jinping, Erdogan said that Turkey will respect China's sovereignty and territorial integrity, oppose any terrorist acts against China, including those launched by ETIM, and will not allow any force to harm Sino-Turkish ties. He added that Turkey is also a victim of terrorism, China Central Television reported. 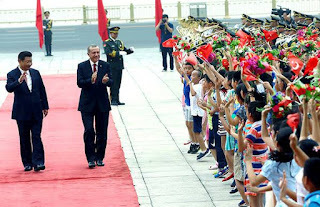 Zan Tao, an expert on Turkey affairs and an associate professor at Peking University, told the Global Times that Erdogan's remarks about ETIM are very clear and strong, compared with his previous remarks over similar matters. Turkish President Recep Tayyip Erdoğan's use of the term “terrorism” in reference to Uighurs -- an ethnic Turkic minority in western China -- while in Beijing where he pledged to cooperate with the Chinese government to combat terrorism, including activities by the East Turkistan Islamic Movement (ETIM), have drawn fierce criticism from the Turkish public as well as opposition lawmakers. "For the president of Turkey, these remarks were not proper. Just to make a gesture to China, Erdoğan's remarks are not only misleading and wrong, but also will encourage Chinese officials to treat Uighurs as they used to do in the past," veteran Turkish diplomat and former deputy for the main opposition Republican People's Party (CHP) Faruk Loğoğlu told Today's Zaman. "Considering the fact that Uighurs have been subjected to restrictions and pressure over their identity and religion, this reference to ETIM would likely to undercut righteous struggle of Uighurs to fully realize their cultural and religious rights," said Oktay Vural, deputy chairman of opposition Nationalist Movement Party (MHP). Almost half of the 457 people detained by Turkish authorities on the Turkish-Syrian border between January 1 and June 30 are Chinese nationals, Turkish Armed Forces sources told Anadolu Agency Wednesday. According to the sources, out of the 457 people detained, 241 are Chinese, 13 British, seven Afghans, five Germans, two Americans, one Australian, five Azerbaijanis, one Bangladeshi, five Belgians, one Brazilian, two Bulgarians, one Danish, one Moroccan, 12 French, 30 Palestinians, six South Koreans, five Dutch, one Kazakh, two Maldivian, one Egyptian, one Romanian, 56 Russians, two from Trinidad and Tobago island, one Slovakian, nine Saudis, six Tajiks, two Tunisians, 29 Turkmen, three Uzbeks, two Iranians, two Spanish and two Italians. 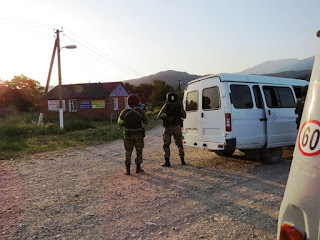 Russia's Federal Security Service (FSB) forces killed eight Islamic State militants on Sunday and six other Islamist rebels on Monday in the North Caucasus, the National Anti-Terrorism Committee (NAK) said. NAK said the rebels killed on Sunday in the republic of Ingushetia were involved in "terrorist crimes" including killing law enforcement officials and extorting money. NAK identified one of those killed in Ingushetia as Adam Tagilov, who it said was behind fighting in the city of Grozny, capital of Chechnya, that killed more than 20 people — policemen and militants — in December 2014. Igor Kalyapin announces creation of "Committee to Prevent Torture"
The "Committee against Torture" (CaT), liquidated because of being put on the registry of "foreign agents", will be replaced by the "Committee to Prevent Torture" (CPT). The new organization will continue working in Chechnya, said its chairman Igor Kalyapin. "This week we'll submit documents (to the Ministry of Justice (MoJ) of the Russian Federation – note of the "Caucasian Knot") on the liquidation of the organization; and on the following week, the CaT ceases to function. On August 3, another interregional organization – the "Committee to Prevent Torture" – will start working," the TASS quotes Mr Kalyapin as saying. He stressed that the new organization will not receive any foreign funding and will exist "solely on donations of Russian citizens," the RIA "Novosti" reports. The National Endowment for Democracy (NED), a U.S.-based international organization that exists to promote democracy, was declared an “undesirable organization” Tuesday by Russia's Prosecutor General's Office, meaning all its activities are banned on Russian soil. “Using the capabilities of Russian commercial and non-commercial organizations under its control, the National Endowment for Democracy participated in work to recognize election results as illegitimate, to organize political action with the goal of influencing government policy, and to discredit Russian army service,” the Prosecutor General's Office said in an online statement. Earlier this month, senators of the Federation Council — the upper chamber of the Russian parliament — proposed a list of 12 foreign NGOs whose work they said posed a threat to national security and who should therefore be declared undesirable. The NED was one of them.